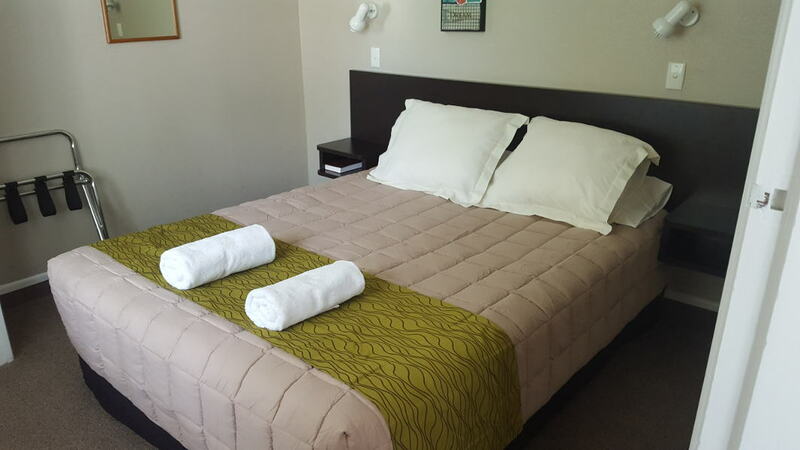 Our one bedroom units have a queen bed in the bedroom, a separate lounge, kitchen and en-suite facilities. One of these units is suitable as a twin, and has a queen and a single bed. If you specifically require this room, please confirm availability by contacting us. Our two bedroom units have a queen bed in one bedroom with two twin singles in the other. One "family" unit has an extra bed in the lounge area & can sleep up to 5 people. These units have separate lounge, kitchen and en-suite facilties. Fully self contained, spacious units. En-suite bathroom (shower and toilet). Full kitchen including fridge, oven & microwave. Lounge area with sofa & dining table. New 2016 - Sky Guest Select with 50+ channels. Double glazed windows & doors (except The Lodge). Roof insulation made with natural New Zealand wool. Free off street parking next to the units (larger vans and vehicles can usually be accommodated). New 2016 - fibre speed internet with no data caps. Garden with outside seating areas. Walkway via the Avery Reserve to the award winning New Plymouth Coastal Walkway. All our units are non-smoking, with seats provided outside each unit for smokers. 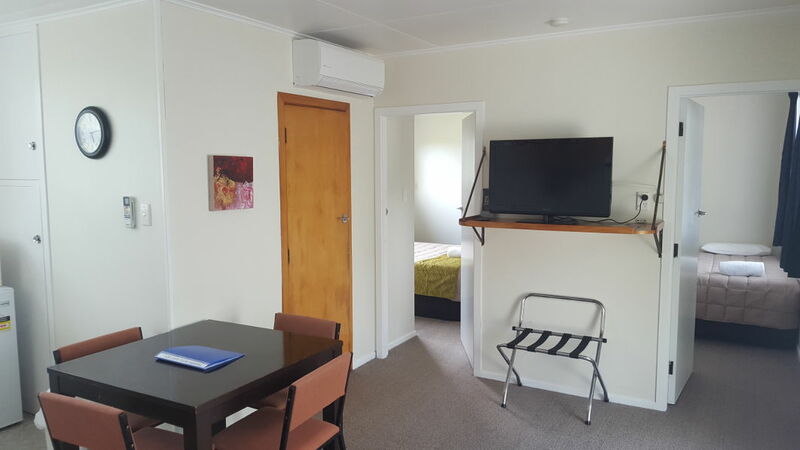 Our peaceful location is less than 2km from the town centre, close to Pukekura Park and the Bowl of Brooklands. You'll find us at the end of Timandra Street, just off State Highway 3 (SH3). The Cat: Muffin is on Facebook! Your message has been received, thank you for contacting us! (C) Timandra Motel 2017. All rights reserved. We require at least 72 hours notice for all changes and cancellations. For special events, public holiday weekends and large bookings (more than two units or longer than 5 days) we require 28 days notice. Please contact us if you are unsure whether this applies to your booking.If we do not receive the required notice or in the event of non arrival we will charge your credit card for the stay. Your booking constitutes acceptance of this policy. For direct bookings, payment is due on arrival. If you have booked with another agent, the terms listed on that site applies. A valid credit card must be supplied, and may be pre-authorised prior to arrival.